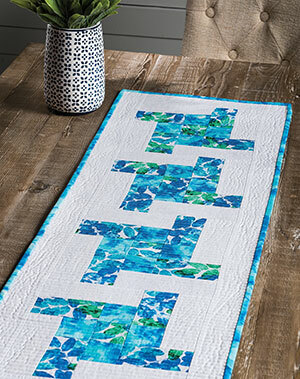 Turn this simple block pattern into the perfect table runner. It can be made in an afternoon! 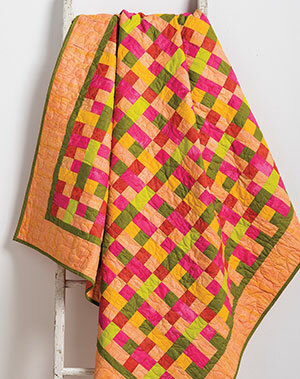 Create a unique madras-inspired woven look with just one block design and your favorite colors. 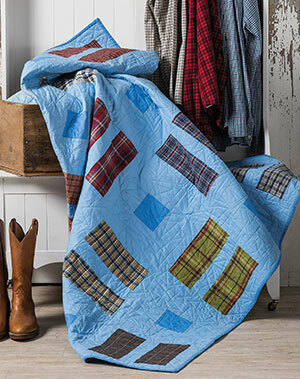 This easy two-block quilt is the answer to having too many outgrown plaid shirts. Maybe it's time to upcycle! 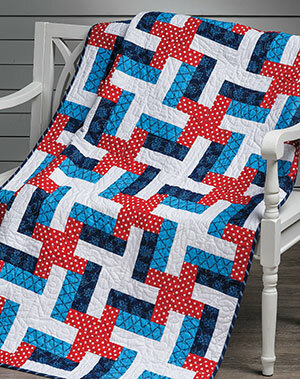 Baffle everyone with this unusual block pattern that creates two different pinwheels when stitched together. This is the perfect scrap buster! 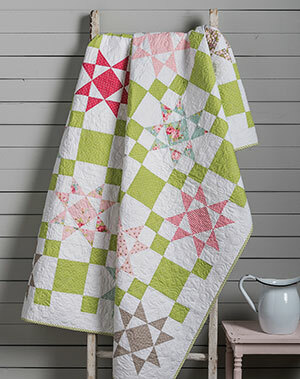 This quilt is perfect as a last-minute project for a gift or as a very fast and easy weekend quilt. 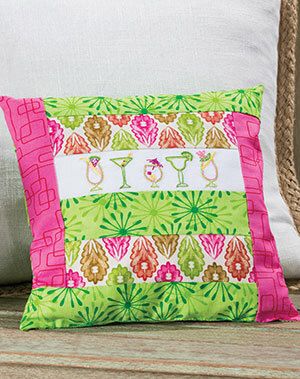 With a bit of embroidery stitching and a few strips of fabric you can have this lovely pillow ready for your summer fun. 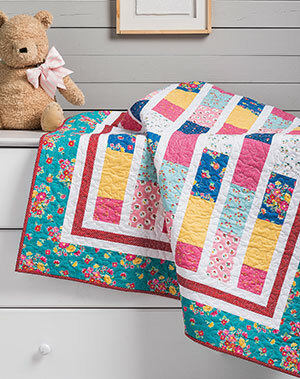 If you have a stack of fat quarters just waiting for use, this is the perfect project. 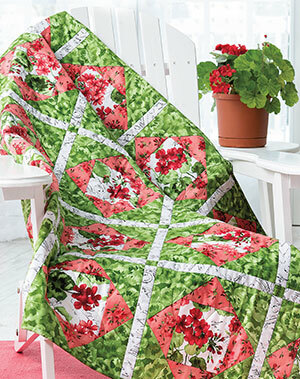 It's a great pattern to show off a lovely group of fabrics. 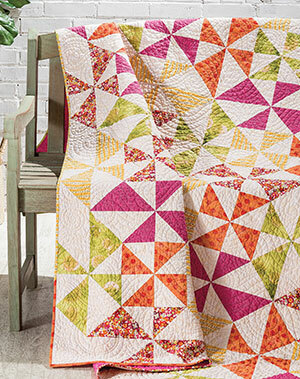 Let this gorgeous panel quilt be your weekend project! 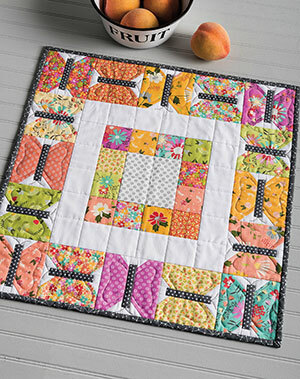 The unique piecing complements this panel perfectly and will add the same "zing!" to other panels with adjusted accent colors. 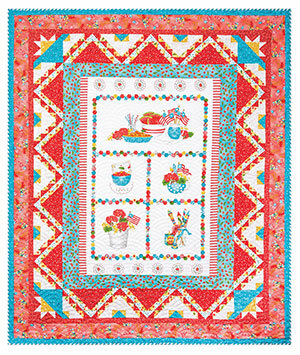 Create a bouquet you can enjoy all year with this one block pattern and your favorite floral fabrics. 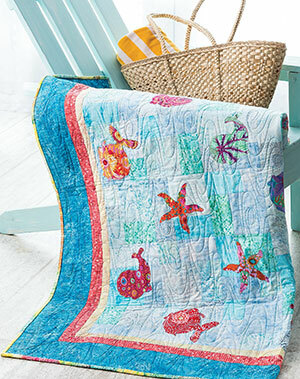 Floral prints form colorful butterflies to make this summery topper that's the perfect accent for your table. Ombré fabrics can be lots of fun if you have a plan or a good pattern. Here's a great way to use 2 1/2" precut ombré strips. 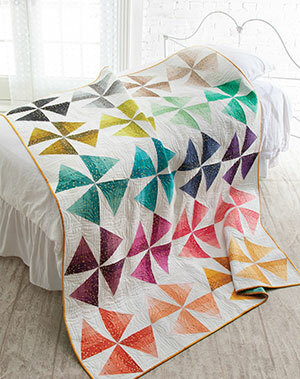 If a stunning quilt is what you're looking for, here it is. 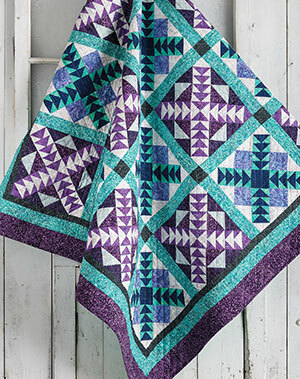 These two blocks make up a lovely finished quilt. 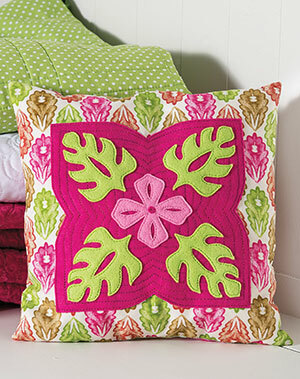 You can get that traditional Hawaiian appliqué look without all the handwork if you choose to try this project.